This chapter looks at extreme value data analysis as an application of VGLMs/VGAMs. 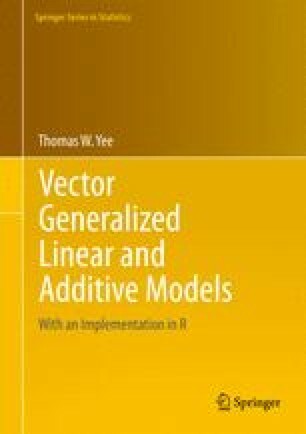 The two most important models (generalized extreme value or GEV distribution, and generalized Pareto distribution or GPD) are shown to be easily amenable to the VGLM/VGAM framework. Some real data examples are given.